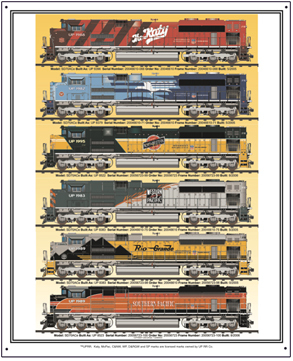 Exclusive products with artwork created by Daniel Edwards. 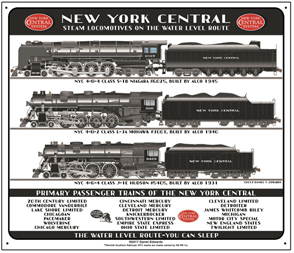 Unbelievable detail and accuracy in each image. 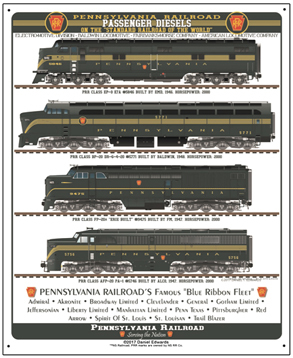 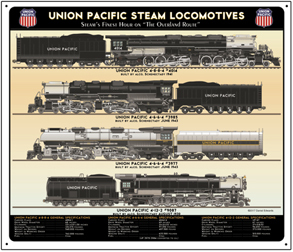 Beautiful sign featuring American Locomotive Co. "PA" diesels in various color schemes presented by the railroads that used them. 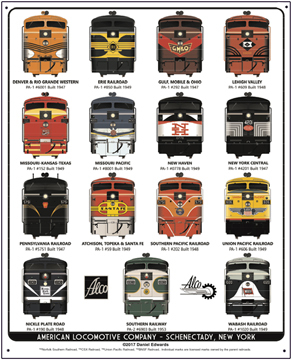 Unique sign featuring cab unit diesels used by the Chicago & Northwestern Railroad throughout the years. 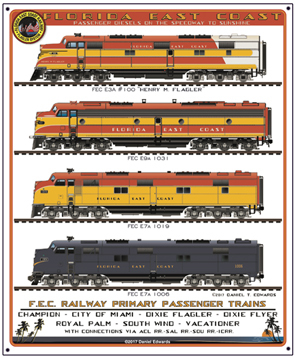 F's; E's; FM's and ALCOs. 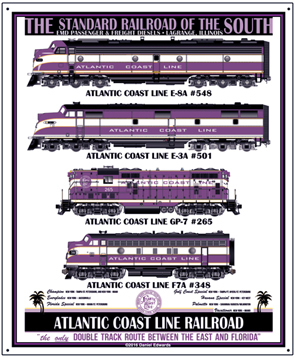 Exclusive metal sign featuring the artwork of Daniel Edwards. 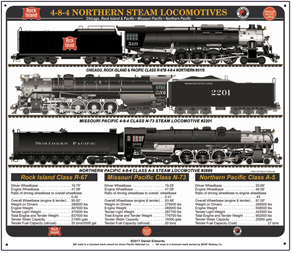 Detailing rivaling that of engineering drawings. 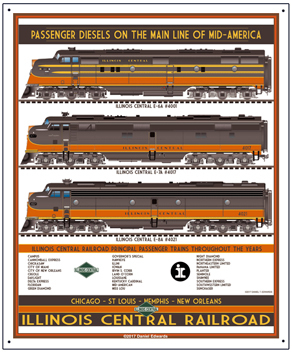 Sign illustrates the Louisville & Nashville Railroads beautiful color schemes on E's, GP's, FA's and RS diesels. 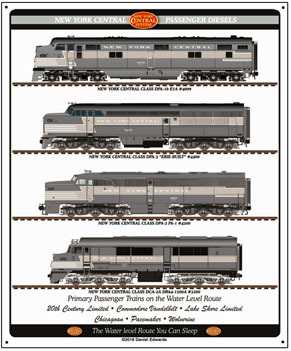 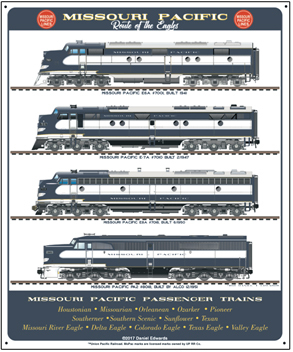 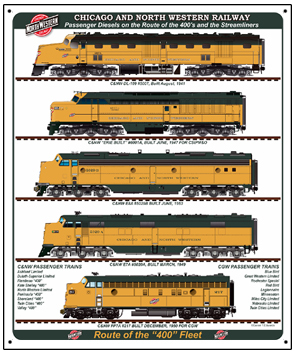 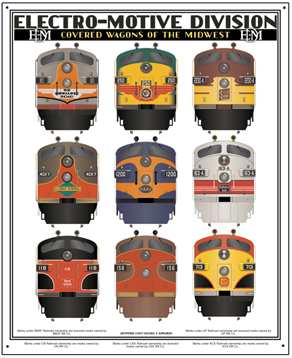 A beautiful metal sign featuring "F" unit diesels of several Mid-West railroads. 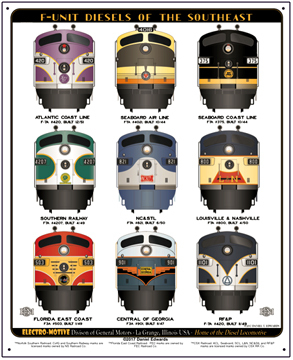 A beautiful metal sign featuring "F" unit diesels of several Northeast railroads. 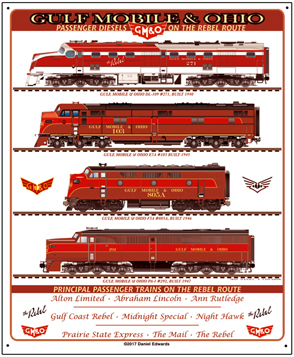 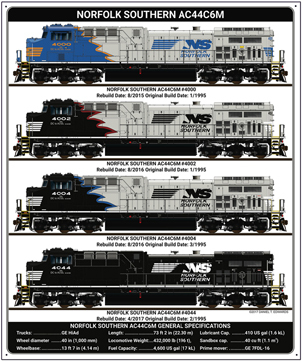 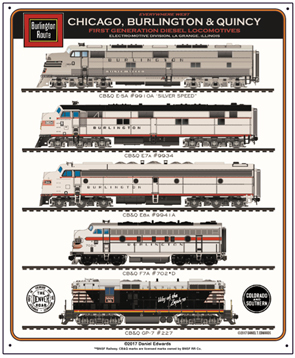 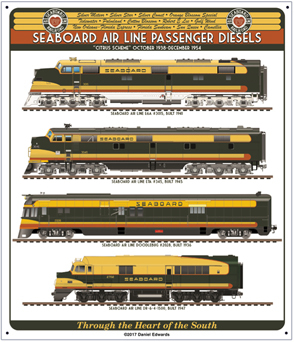 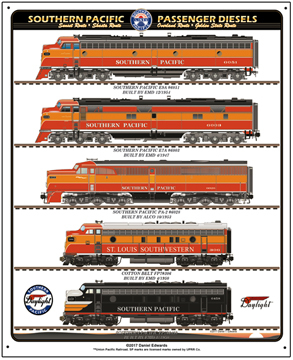 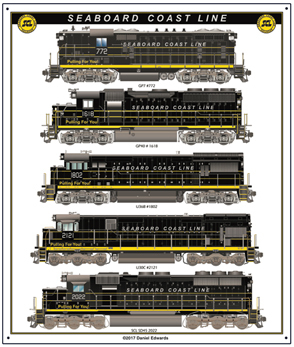 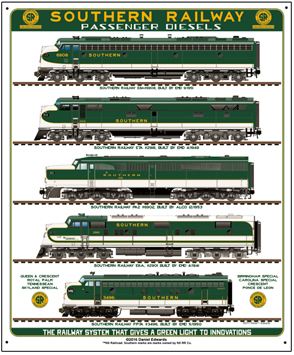 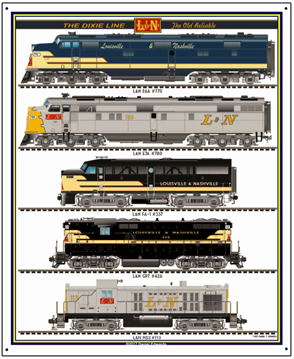 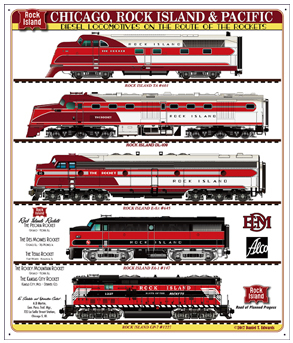 New sign featuring Norfolk Southern Railroads AC44 diesels in various color schemes, by Daniel Edwards. 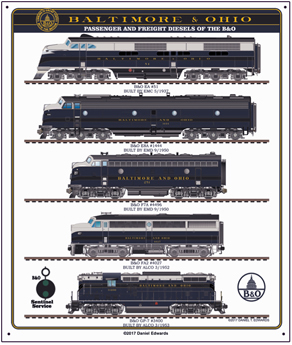 New sign featuring Norfolk Southern Railroads Military and 1st Responders salute diesels. 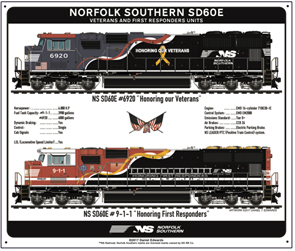 The 911 paint scheme and the Veterans paint scheme. 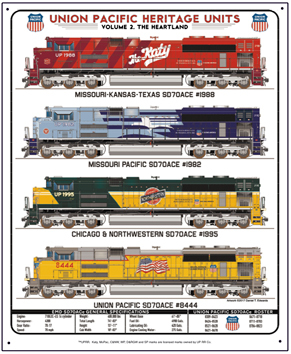 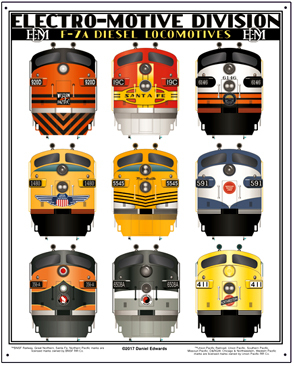 Beautiful artwork by Daniel Edwards of diesels operated by the Chicago, Rock Island & Pacific Railroad throughout the years. 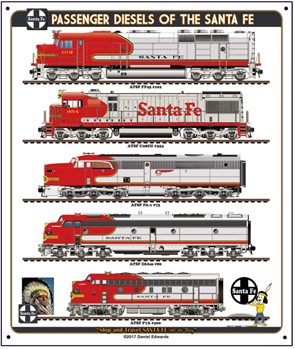 AT&SF Railroads beautiful and famous "Warbonnet" paint scheme on ALCO DL; FM Erie-Built and three newer diesels, all in world famous "Warbonnet" livery. 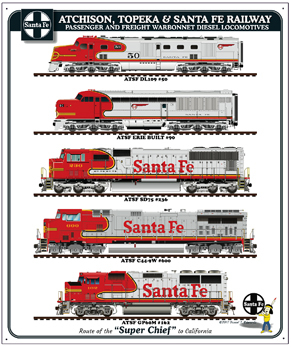 This is the second edition of Santa Fe diesels by Daniel Edwards. 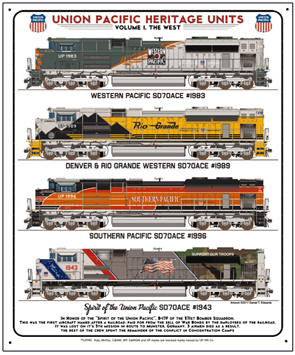 A beautiful metal sign of 9 western America railroads F-7 diesels. 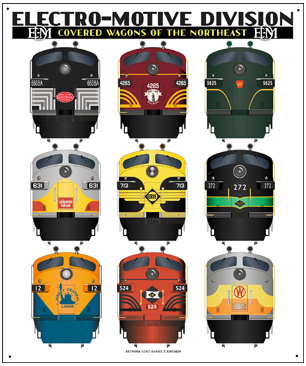 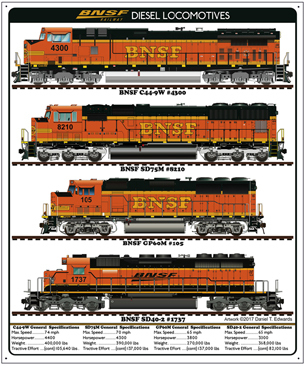 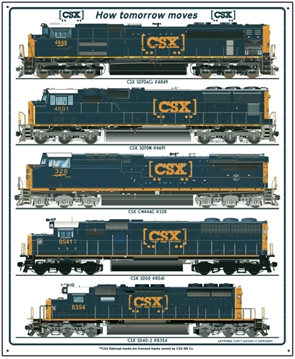 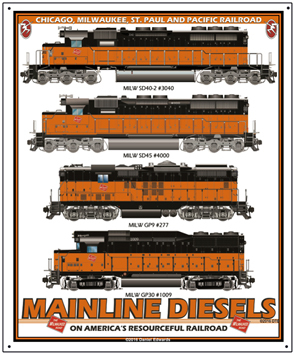 Very colorful and detailed artwork featuring the UP, WP, MP, SP, NP, D&RGW, C&NW, GN, and Santa Fe diesel noses.